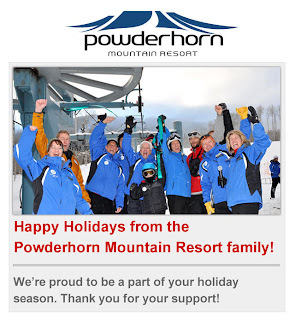 Happy Powderdays from your Powderhorn Family! Kickoff to the season of rail jams! We will build features specifically for the event. Registration is $10 at the Ski & Ride Center. 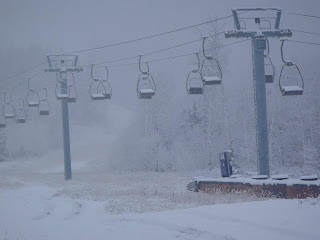 Join us for a fun filled day, oh, and maybe some fresh POW!!! Originally scheduled for December 22, but postponed due to TOO MUCH SNOW!! for up to day information. What incredible timing! 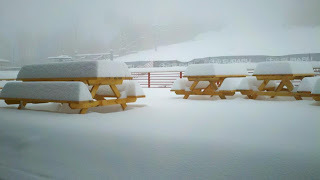 We've been hit with 12" of new snow just before our Opening Day tomorrow. The base is now at 34". Time to rearrange your Thursday plans so you can get here early for first tracks! To add to an already amazing day, half of all ticket sales tomorrow will benefit Partners and Colorado Discover Ability. We'll also have live music at the Sunset Grille from 12-3pm. 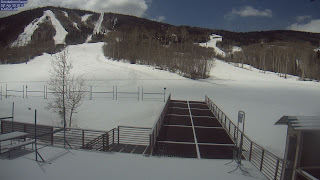 Lifts open at 9am. 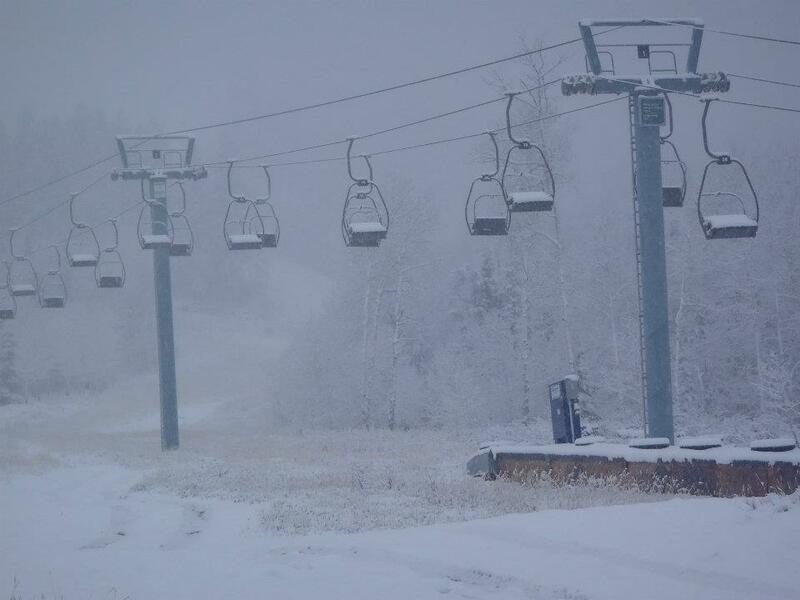 We'll have the full list of open runs on our Snow Report tomorrow morning by 6am. You can view the report at www.powderhorn.com or by calling the snow line at 970-268-5300. If you haven't had your picture taken or signed your liablity waivers for your pass, this is your last chance before Opening Day! 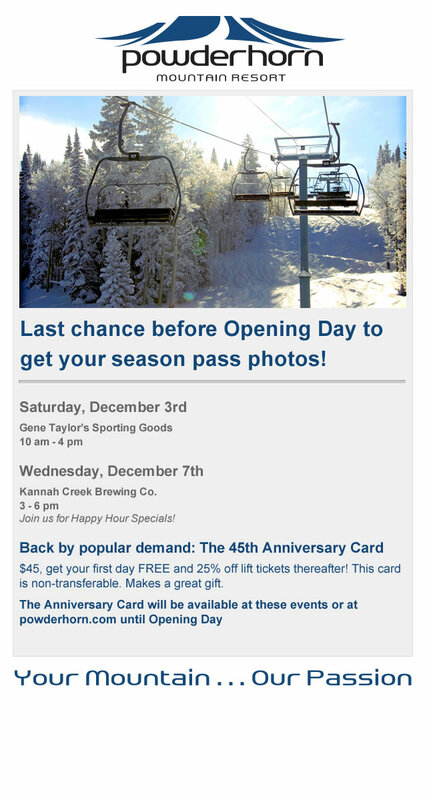 We will have special Season Pass pricing as well! Come say hello! 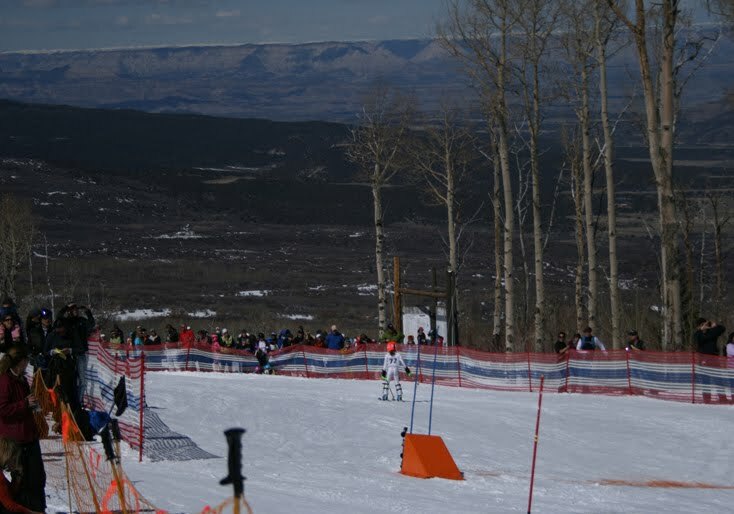 While training this past weekend in Aspen, the Powderhorn Racing Club kids got the added bonus of watching the Women's WC GS and SL. 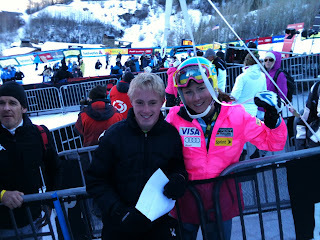 This is Jed Wilson 13, chatting it up with Mikaela Shiffrin 16, who placed 8th in Sunday's Slalom, one of US Skiing's youngest top ten finishes at a World Cup. 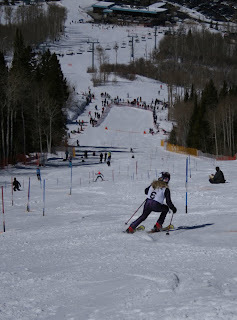 Julie Mancuso had a podium finish in Saturday's GS placing 3rd. Thank you to Ron Wilson for the great pictures! 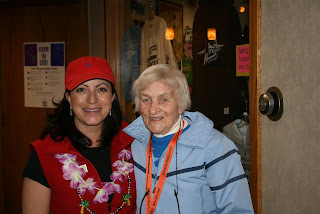 It's Powderhorn's 45th Anniversary this year! 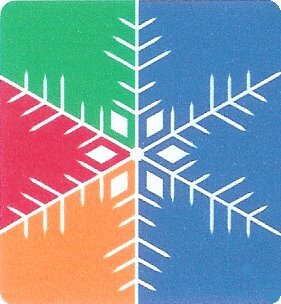 To celebrate it, we are offering the Powderhorn 45th Anniversary Card. 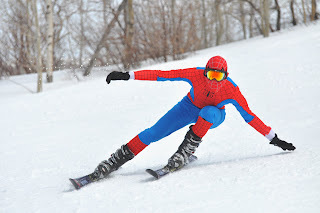 *Ski FREE your first day! *Get 25% off your full day adult lift tickets the rest of the season! You can also fill out your liability waivers and get your picture taken for your season pass as well! As we've said, our focus this year is to provide a new level of customer service by enhancing the overall guest experience. We are investing $800,000 in the resort this year as part of a multi-year capital improvement program. So what have we done so far? Obviously the team has been hard at work! We're all coming together to make your local mountain even better. Please come see us this weekend at the National Ski Patrol Ski & Snowboard Swap. Stop by the Powderhorn booth to get your season pass photo, pick up your pass or purchase a Deca Card. We'd love to hear what you think and chat about the upcoming season! 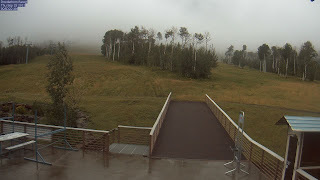 MESA, Colo. (Sept. 30, 2011) – Big news for ski and snowboard enthusiasts and families, alike, with the addition of a half pipe to Powderhorn, the Grand Mesa ski resort near Grand Junction, Colo. 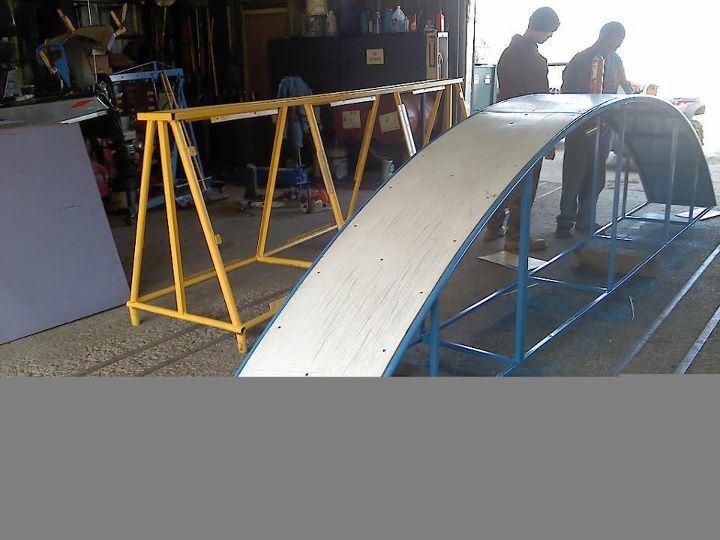 The new, 300 to 350 foot long half pipe will be located at the base of the mountain and visible from Powderhorn’s sun deck. The half pipe will also boast 13 foot high walls with a 16 to 17 percent grade. 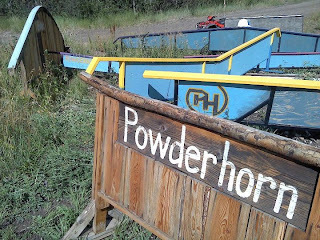 Powderhorn has never had a half pipe during its 45-year existence. Powderhorn early-bird season passes are available at the lowest price of the season – adult pass $399 - now through Oct. 14. 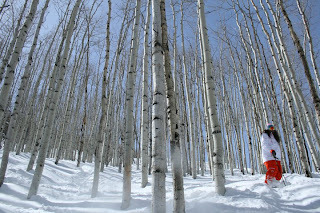 Passes are available at www.powderhorn.com or by calling 970-268-5700. The colors of the Grand Mesa are putting on a full show now. The yellows and oranges of the aspens are just about blinding. 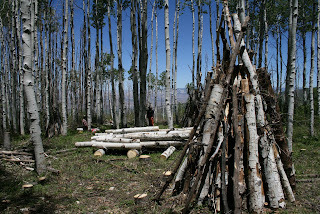 Long-term event planning is always difficult when the event depends on nature. But it looks like this weekend should be near the peak of the color extravaganza. Lift rides are available from 11am-2:30pm, cost is $12 adults, $5 kids 10 & under. See you on the mountain! The Powderhorn Team is taking the show on the road! There are several opportunities to come order your pass, have your photo taken or pick up a Deca Card. We also like hearing about your summer and catching up with our PHanatics. Check out the event calendar for dates and info. You may have already seen it in the news, but we officially transitioned to new ownership this week. Andy Daly and the Gart brothers now have Powderhorn in their hands and they're ready to rock & roll. Our biggest focus this year will be on your experience. From customer service to grooming to snowmaking, we will be working to improve it all. Plans and work to improve the snowmaking system are under way. 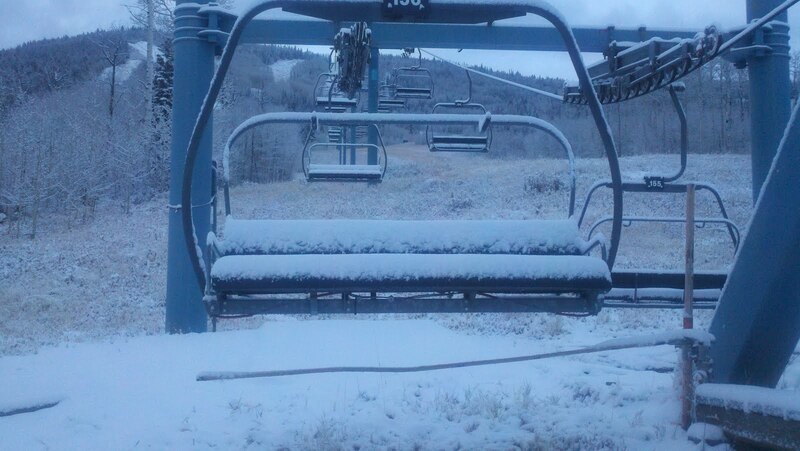 Hopefully we'll have the cold temperatures we need (and early) to start cranking out the white stuff. As I've explained before, snowmaking is key to getting the mountain open early and in good condition. That rain last year.....well, let's just say "rain" is a terrible 4 letter word around here. 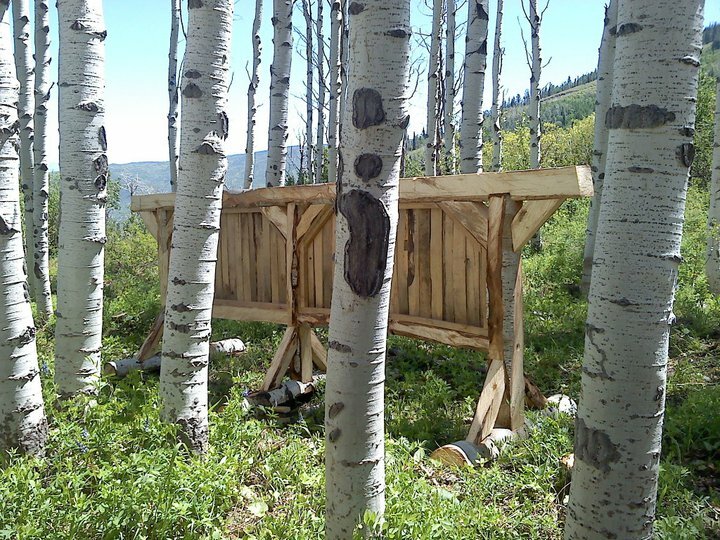 Anyway, we're working with the Forest Service now to do all that is necessary to ramp up the system for this season. We'll be hiring many positions soon, please stay tuned. We're looking for people who have great attitudes, enjoy making sure guests are having a good time and who love the mountain. As soon as all the information is together, we'll post it on our website. In the meantime, come see us this weekend for Color Weekend lift rides, BBQ and fun! 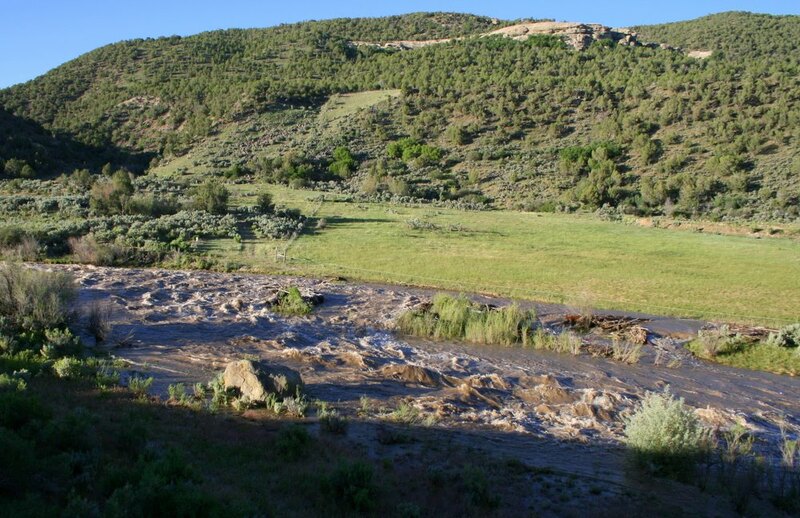 This year you have 4 opportunities to view the fall colors of the Grand Mesa! The official Grand Mesa Scenic Byway Color Sunday is Sept. 25th, enjoy events all along the byway! • Event is weather permitting. • Loading and unloading the lift can be a strenuous activity. • The lift DOES NOT stop for loading and unloading. • You need to be able to walk at a brisk pace to load and walk/jog UNASSISTED to unload. • It is not recommended for you to ride the lift if you have pre-existing physical conditions, circulation, heart, or respiratory problems. • Lift ride takes approximately one hour round trip. • Unloading at the top IS NOT permitted. • Anticipate weather changes and dress appropriately. 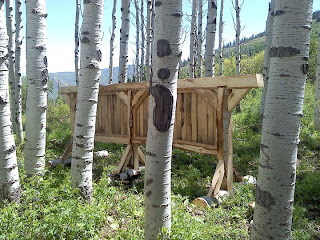 The guys have been all over the mountain this summer and I think, come winter, you'll notice! New park features have been made from dead aspen to create The Rabbit Hole- a natural style park right after the Maverick jump line. 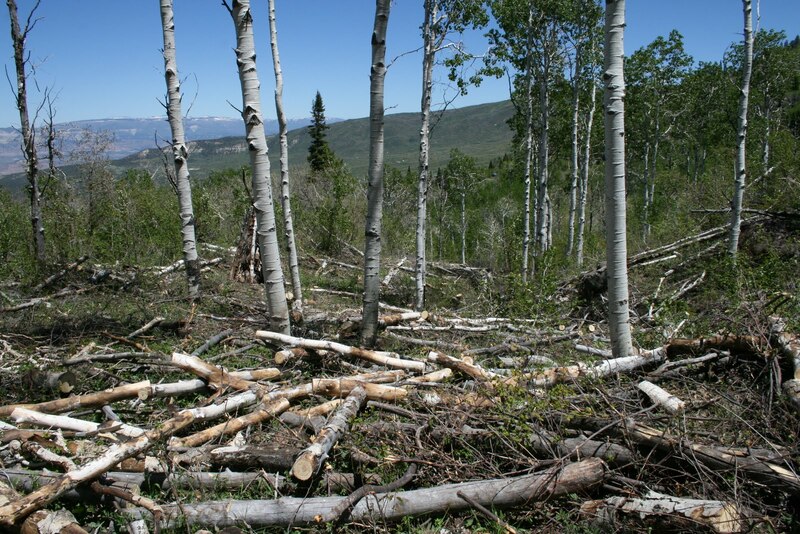 You'll also see more maintenance work in your favorite glades. 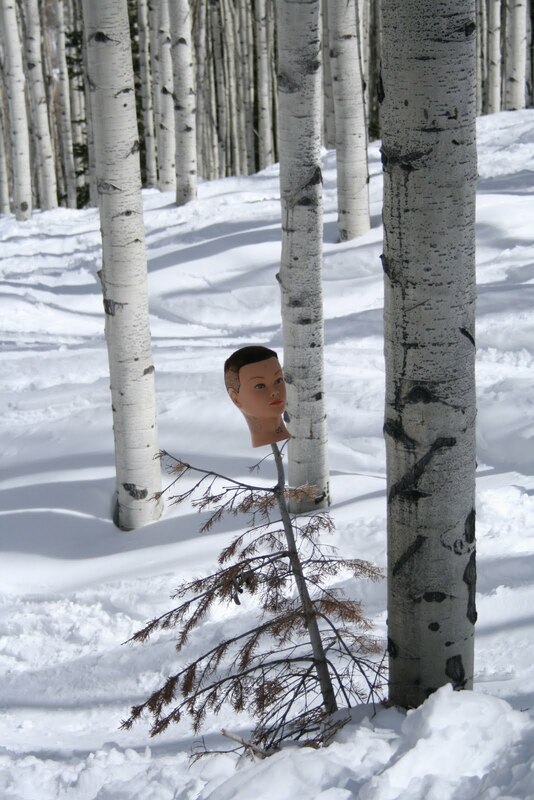 After all, the trees are our signature! There's a little chill in the air this morning. Doesn't it feel great? New ski and snowboard magazines are also sitting on my desk. It can only mean one thing- ski season is just around the corner. In just about 3 months, the lifts will begin turning here again and we'll welcome back all our PHriends. Our crews are hard at work preparing the mountain. There will be a lot of changes this year that you can feel, but may not necessarily see. 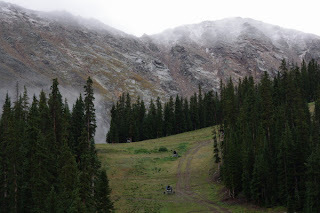 Our new owners are working to improve the snowmaking system for this season. Increasing snowmaking output, even just on the lower 20 acres, will help the mountain open earlier and with a quality base. 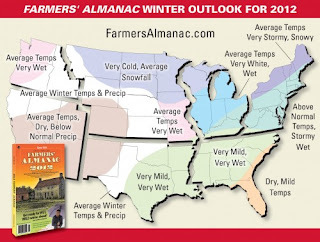 Let's just hope we get cold temperatures early this year (unlike last year). We'll keep you updated as the preseason progresses! For season pass info, click here. 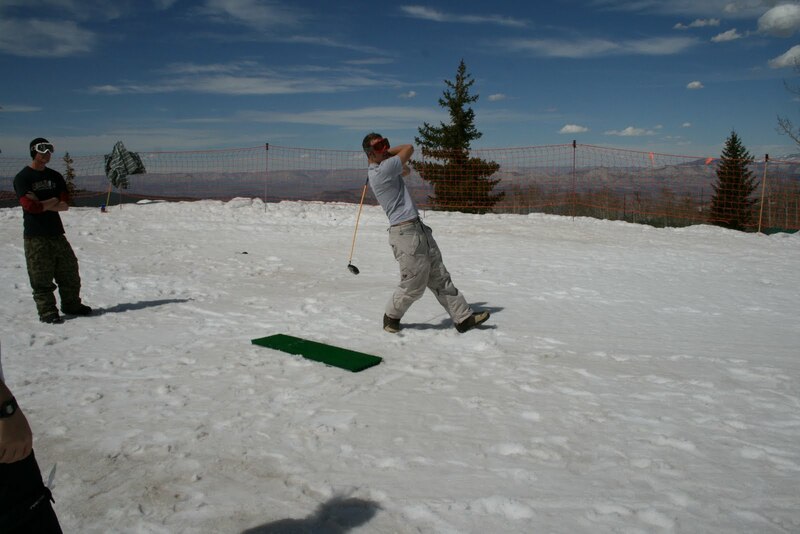 The other day someone asked me, "Joe what do you do at a ski area in the summer?" I had to stop and think; how can I make this a short answer? Anyone who knows me could tell you I can get a little long winded. So I came up with this. We are like a giant working ranch/farm. Although our main product we sell is obviously in the winter, there is plenty of maintenance to do in the summer. Just like any working ranching or farming operation there are folks on the "inside" keeping us in line, and folks on the "outside" literally working on the line. Lots of the things we do are routine for any area. Some are not. Nonetheless I get a little excited about how a mountain works, and this summer is no different from any other. The show must go on. On the "Inside" some of the fine folks at Powderhorn have been working on collecting feedback from the community. This is a very important task considering we are here for the people of the Grand Valley. We also have year round bills that need to be paid, and documentation that needs to be filed. Sounds a little bit like work eh? Well it is, but its what makes the place chug forward. On the "Outside" we have been focused on our normal maintenance required for any area. That includes having our rope and chair inspections done. Keeping up with our agreements for stewardship with the Forest Service. Even repainting some of the railings around the area. 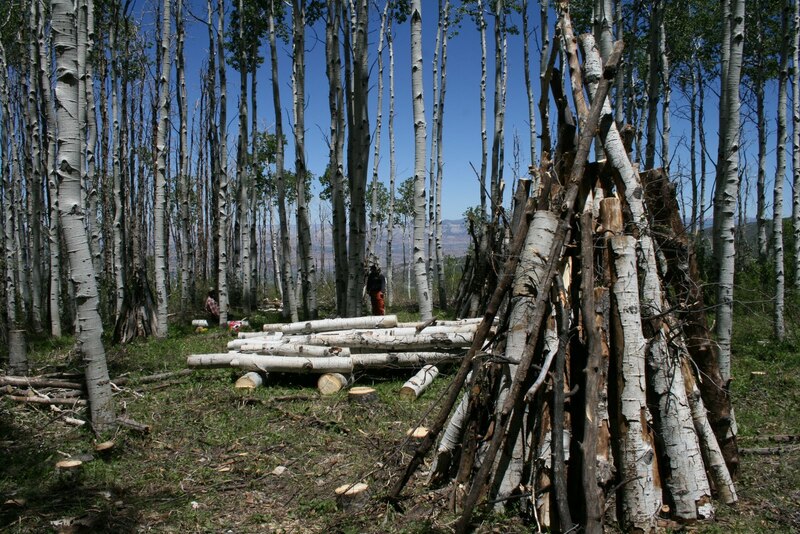 In addition to all this "routine" stuff, I have been using the dead aspen trees to create some new park features for everyone. Everyone knows about our pending auction...trust us we know too. 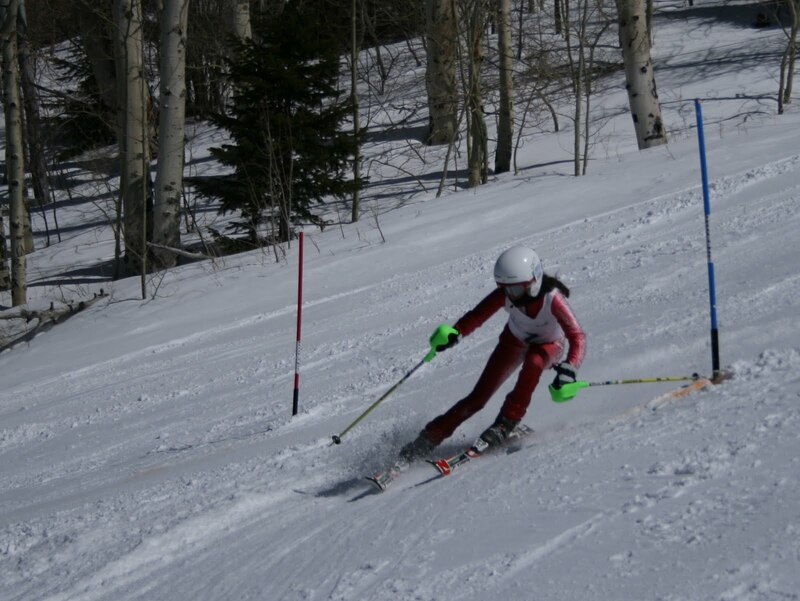 ...But rest assured we are constantly working to make sure Powderhorn is better every year! Here's a more complete slideshow of the spring runoff, start to finish. As our loyal friends and fellow snowriders, we want to share with you some exciting news. 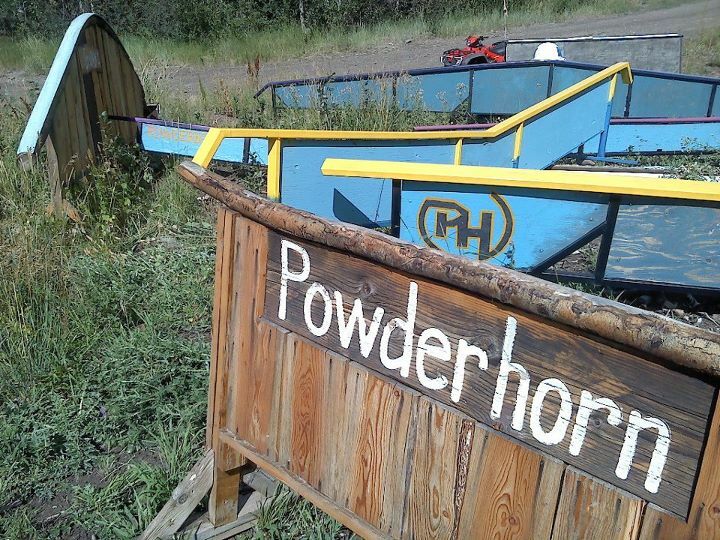 Powderhorn will sell at an absolute real estate auction. As we transition to new ownership, we want you to know that we'll keep you apprised of any developments as we move forward. 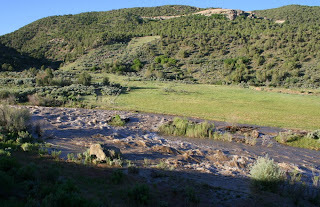 trails, will sell at absolute auction with no minimums and no reserves. 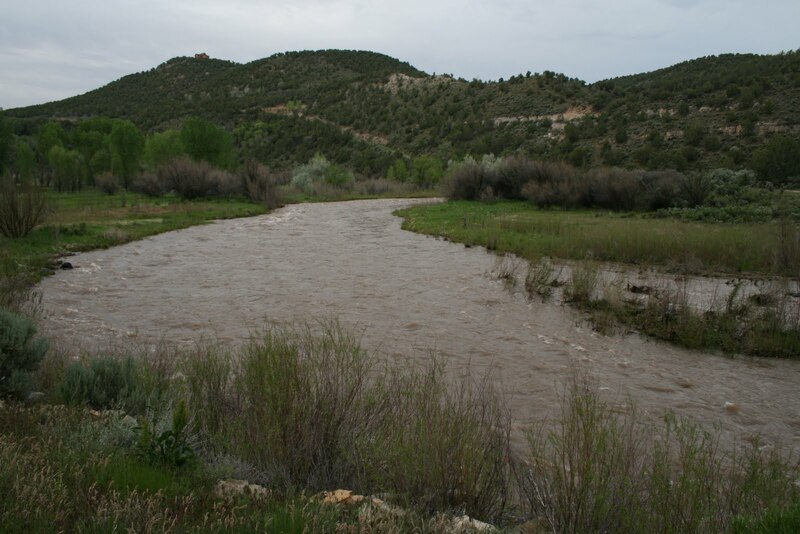 J. P.
transition for this gem of western Colorado." For information on the auction visit the JP King website. Please feel free to contact us at anytime. Thank you for being a friend of Powderhorn! 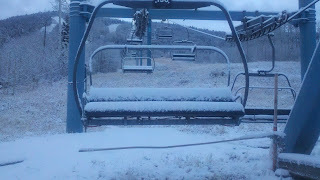 Spring & Winter are fighting for control here at the mountain! 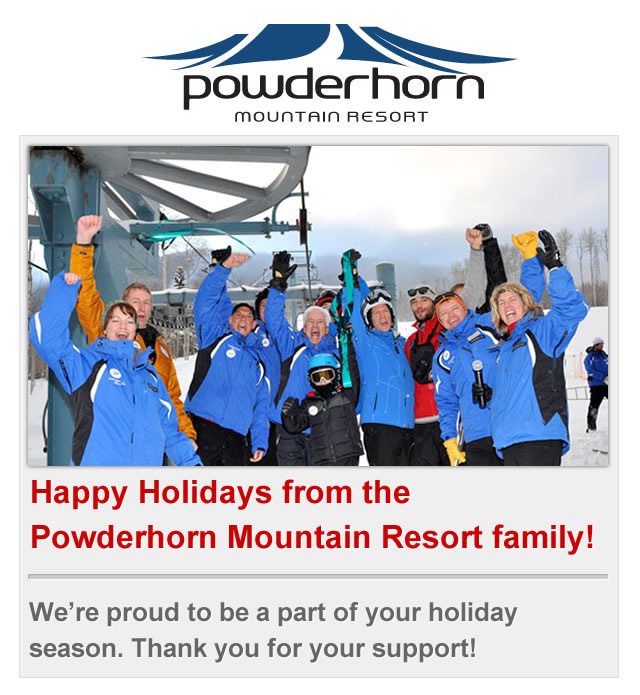 Thank you for another great season at Powderhorn! We appreciate you spending your winter with us. 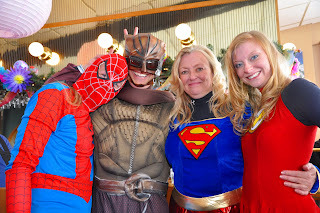 Pond Skim and closing weekend pictures & video are coming soon! In the meantime, check out our Facebook page for a few pics. It's crazy how much we have going on this weekend! Although the season's end came too soon, we're going to celebrate with a 3-day party. All employees are gearing up today for the final weekend. The stoke factor is high! Redlands Mesa Golf tent- guess how many golf balls are in the jar to win prizes. 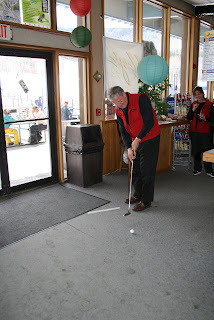 You can also win swag by taking the golf trivia challenge from Doug the Bartender. Redlands Mesa Golf tent- take the Putting Challenge and win swag by taking the golf trivia challenge from Doug the Bartender. Redlands Mesa Golf tent- taste the award winning samples from chef Randy Brown, Slush Trap Competition, Pond Skim Chip Shot- win free rounds of golf! Check out the Redlands Mesa tent for all the details. Pond-side beach party- all day! Bring your lawn chairs. Even more details coming soon! Bottom line, you gotta be here for this. 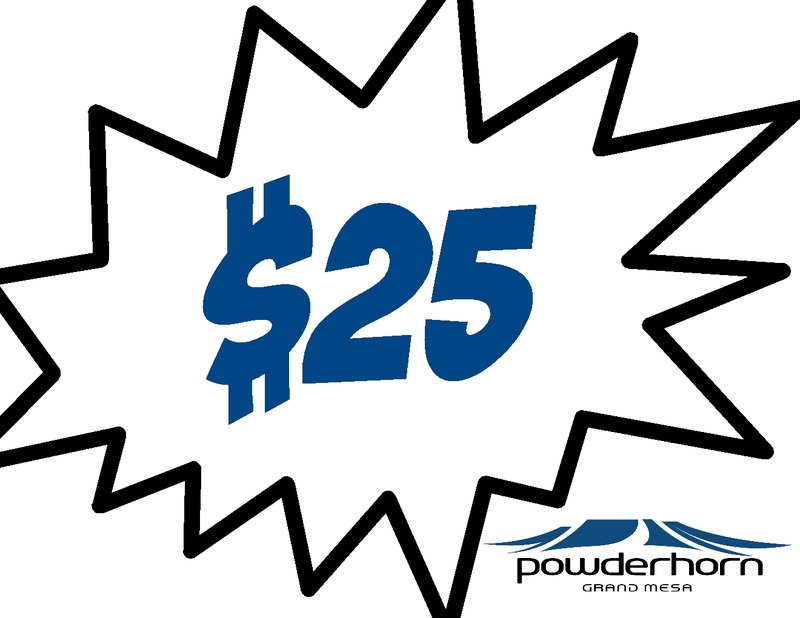 Lift tickets are just $25 for everyone Friday, Saturday and Sunday! It's going to be a huge party all weekend. Spread the word and round up your buddies! Who's ready for one heckuva party this weekend? The Pond Skim & Closing Day Beach Party is going to be a blast! Redlands Mesa Golf Course will have a tent on the deck both Saturday and Sunday. 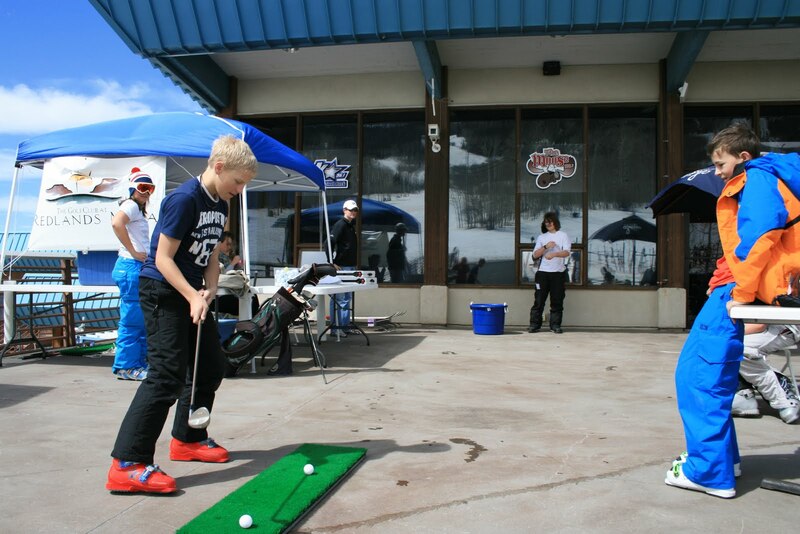 Check out demo gear and play the "Slush Putt" on Saturday or the "Pond Chip" on Sunday. Don't forget the sunblock and your floaties! In the meantime, the 4 for $100 deal is available through Thursday. We've had 16" of snow in the last week so it's alllllll good! This week's podcast: how to register for the Pond Skim and info on specials. 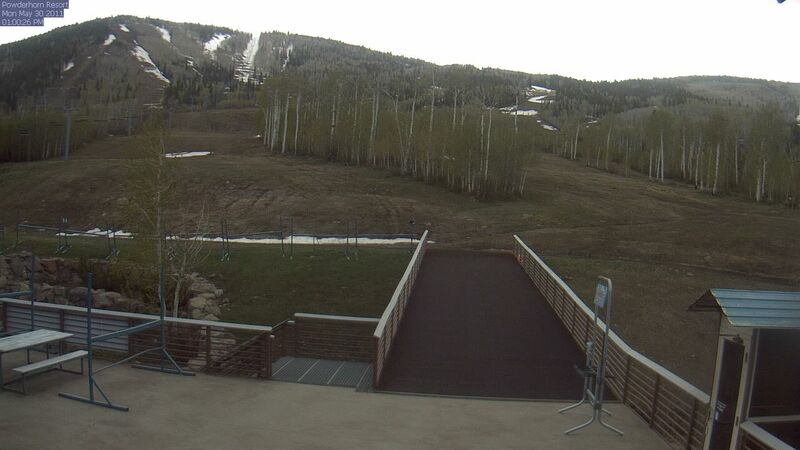 Sorry, I have some not-so-exciting news: only 12 days left in the season at Powderhorn. I don't mean to depress you, it just means we should all be getting in as many turns as possible these next 12 days! Head to the West End where the sun shines first. If it's a powder day, this is definitely the place to be with a huge variety of options- the glades, Mudslide, Sweet Misery or Bear Claw to name a few. 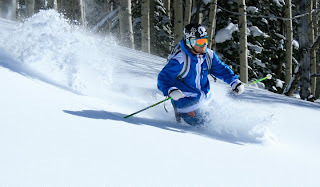 The shift in lift hours allow for really fun skiing in the afternoons. If you like carving, the groomed runs have been perfect between 1-4pm each day. 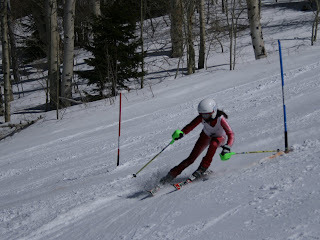 Bill's Run, Redeye and Tenderfoot are among a few that are groomed regularly and perfect for big turns. 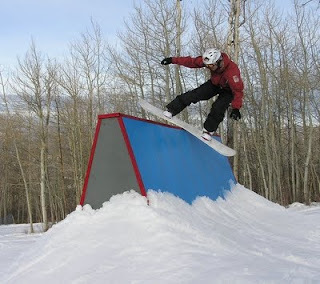 The terrain parks are also softened up by then and great for all ability levels. Link them all together for top to bottom park fun with some carving and side jibs along the way. 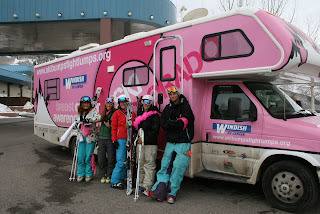 I recommend hitting Wonderbump on your final run if skiing until 5pm. It'll still have sun on it and the views are amazing. Do it all without selling a kidney. We just launched the 4 for $100 package. Grab some friends/family and spring ski for $25 apiece. Nice! 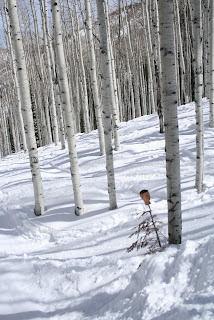 A sunny day with 10" of untouched under the skis...happy Friday! Looking at the event calendar, we have a ton of partying going on this weekend! Take your pick...or take them all. 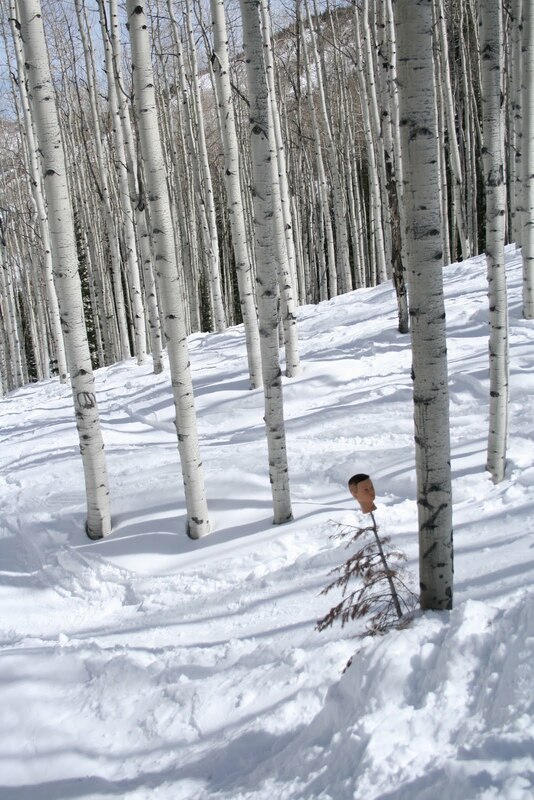 With snow coming now, followed by sun this weekend, it should be perfect conditions. It's our day to say THANK YOU! 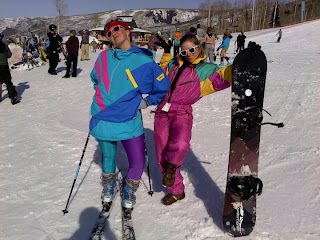 Pack your party pants along with your skis this weekend! Check out this video from a local PHanatic. 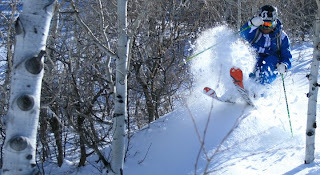 With this storm coming in (6-15" currently forecast) let's hope we're all riding the pow again in just a couple days! GoPro pow edit. from Lightbulb Media on Vimeo. Don't forget about the Shoot Your Friends video awards! 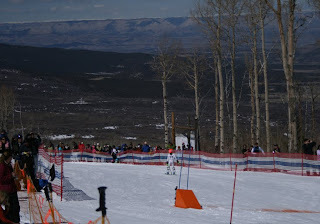 Wonderbump and Bill's Run were converted into championship ski race courses over the weekend for the J5 Finale! Congratulations to all who participated! We will have the results of the race soon, but for now, just a few pictures from the race. 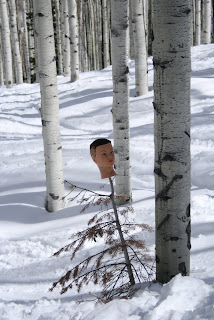 This is by far the creepiest thing I've ever seen while skiing. Someone had some fun with Dummy Jump leftovers in Mad Dog Glade. This week's podcast covers the sweet snow conditions, spring deals and the J5 Racing Finale. It was rainy in the valley, and Powderhorn was the place to be today! Between 1pm yesterday and 1pm today Mother Nature so kindly covered our favorite winter hangout with 16 inches of fresh POW! 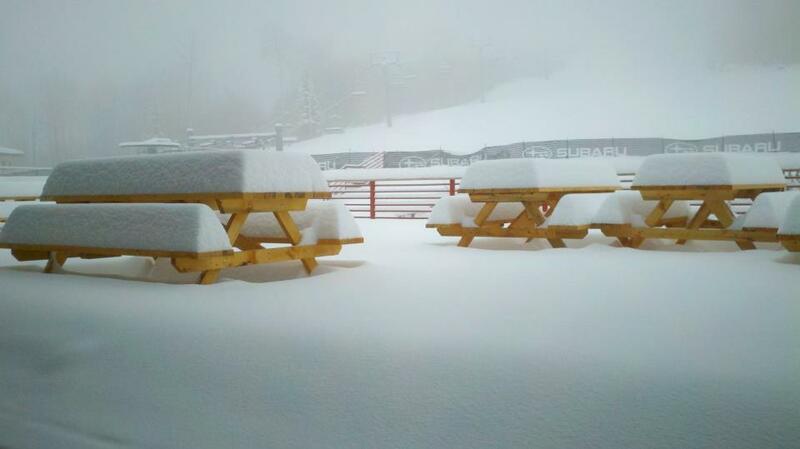 Our base is at 67 inches now, and the weather man is calling for sunny skies tomorrow! 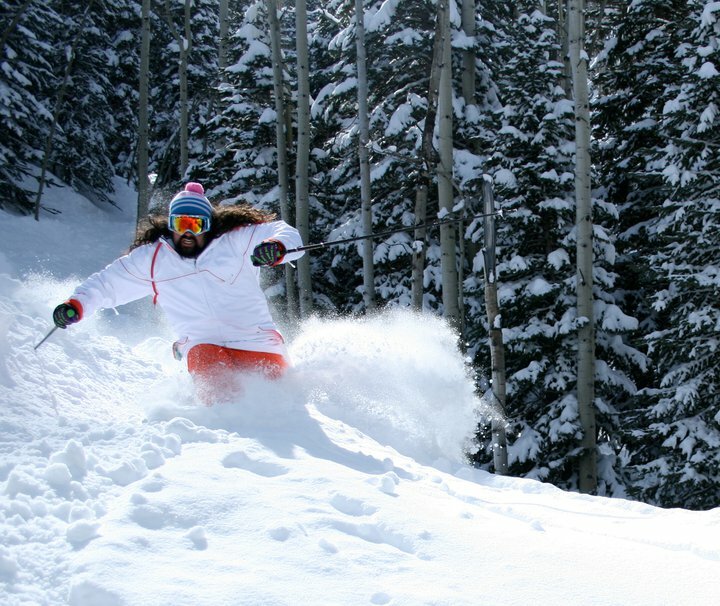 There may be some fresh tracks to be had in your favorite stashes on a bluebird Wednesday, tomorrow. Come get it while its fluffy! Keep up the good snow dances! What a great event. Thanks for coming! Powderhorn Ski Resort Dummy Jump 2011 from Powderhorn Ski Resort on Vimeo. Ski Bikes for Sale! Get 'em While it's Still Cold! 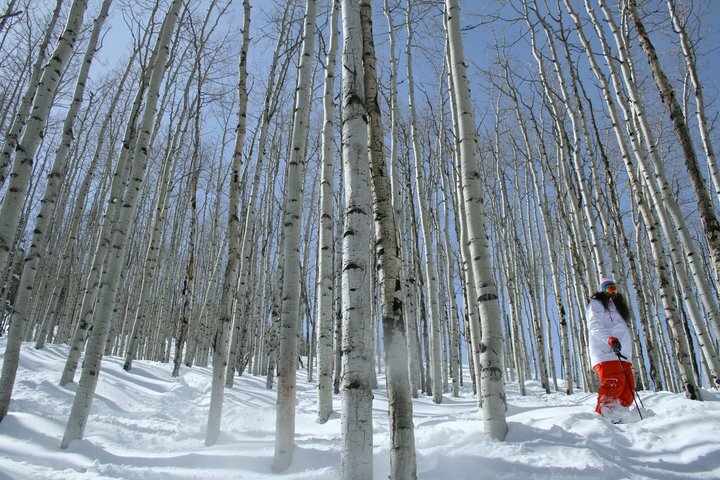 Unfortunately, there just isn't a good spot on the resort to enjoy the adrenaline rush the ski bike may bring, so the Powderhorn Rental Shop is selling theirs. This one is a K2 SMX Freestyle / All Mountain Ski Bike. It weighs 26lbs and has suspension also. No warranty is available. It's worth $575 and selling for $299.99. Call (970)208-6090! Come check them out at Powderhorn Rental Shop.